Shangri-La Hotel, Qaryat Al Beri, home to Sofra bld where you can enjoy a luxurious intercontinental buffet in a traditional Arabian setting. 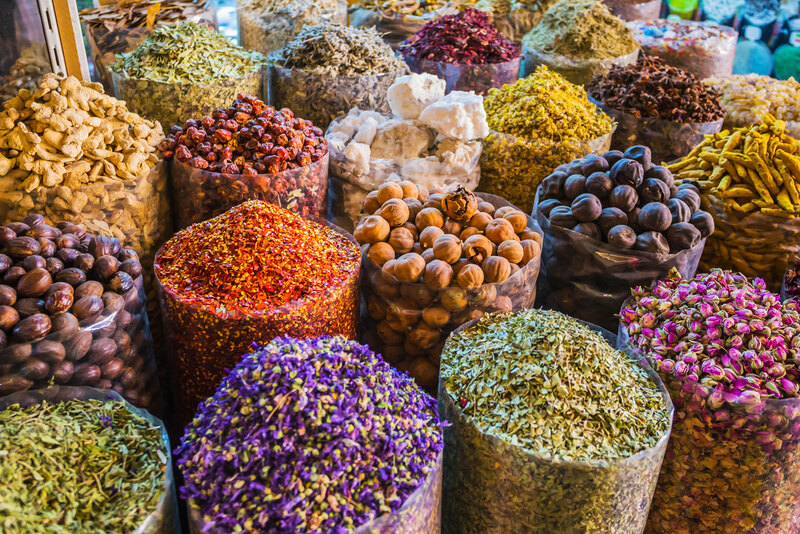 Some of the exotic herbs and spices that star in Emirati cuisine, inspired by Middle Eastern, African and Asian influences. Abu Dhabi is home to a tantalizing array of world-class dining experiences. 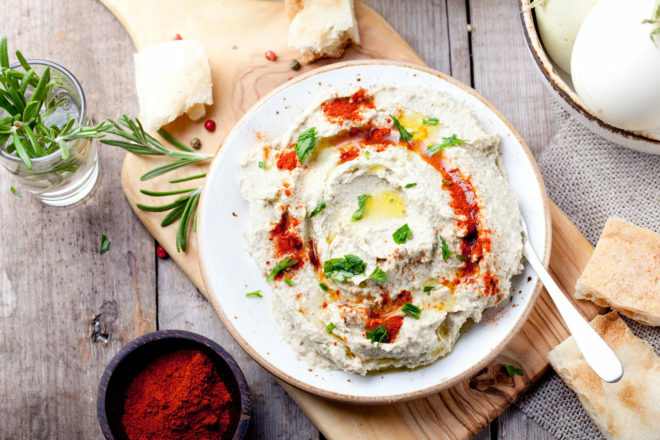 Whether it’s the exotic flavours of Emirati cuisine, inspired by Middle Eastern, African and Asian influences or a varied range of international fare, the vibrant emirate is fast becoming a foodie’s delight. The first dedicated Emirati fine-dining experience in the UAE, Mezlai offers first class dining in an enchanting and opulent Arabian setting. A hidden gem, Mezlai is located in the famed Emirates Palace Hotel and serves the very best in traditional Emirati cuisine such as lamb madfoon, biryani or UAE’s national dish chicken hariz. Take a culinary journey and enjoy intercontinental dining in a traditional Arabian setting at Sofra bld’s luxurious international buffet, located in the Shangri-La Hotel, Qaryat Al Beri. Mirroring the souk experience of Arabia, its tantalising offerings include the finest dishes from Arabia, Morocco, India and Europe, topped off by a magnificent dessert station. Sofra bld is an award winning restaurant not to be missed. Soak up panoramic views of the dazzling city and its surrounding turquoise waters, whilst enjoying a gourmet dining experience at the prestigious Al Fanar. 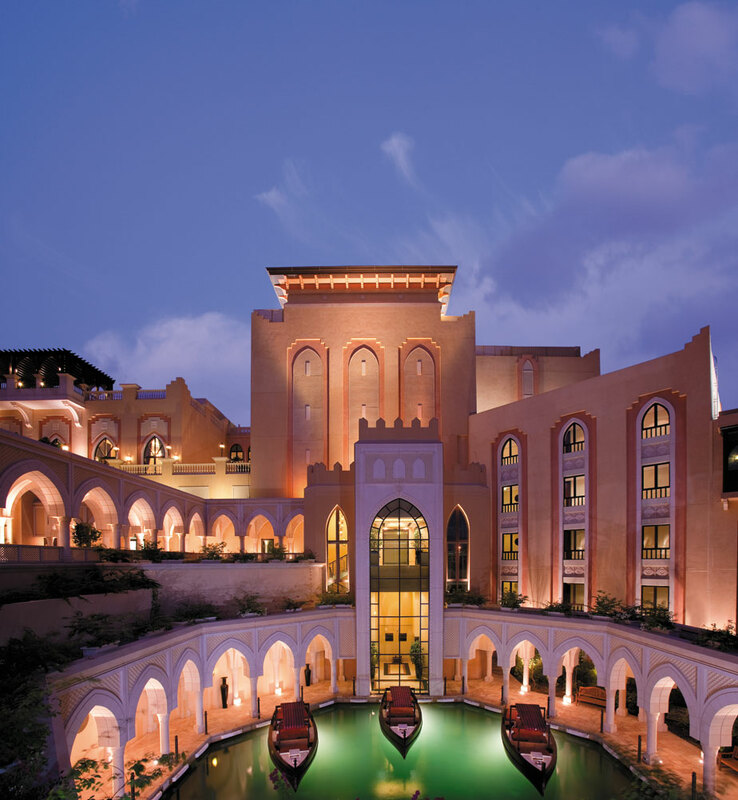 At the heart of the Venetian Village at The Ritz Carlton Abu Dhabi, Grand Canal, this restaurant and café is complete with barasti outdoor booths, mud brick rooms and a mini souk. For a lighter meal with a stunning view, the Observation Deck at 300 offers the ‘highest’ high tea on the 74th floor of Jumeirah at Etihad Towers. The highest vantage point in Abu Dhabi, it’s the perfect place to indulge in opulent desserts and light refreshments while overlooking the city and enjoying the views of the sparkling Arabian Gulf.